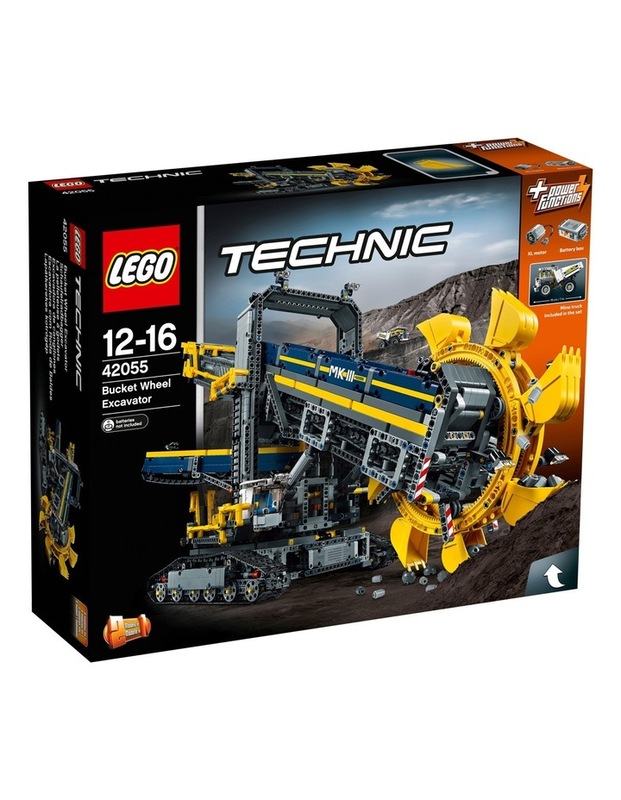 Enjoy building and operating this massive 2-in-1 Bucket Wheel Excavator, the largest LEGO Technic set to date! This awesome, meticulously detailed reproduction of a real-life mining excavator comes with a cool dark-blue and yellow color scheme and an array of authentic features and functions, including hand-railed walkways, huge tracks and a detailed cab. Switch on the included Power Functions motor and you can activate the conveyor belts, rotate the massive superstructure and maneuver the colossal machine into position. Then activate the boom to lower the gigantic, digging bucket wheel and convey the mined material to the waiting mine truck. When you feel like another building challenge, rebuild it into a Mobile Aggregate Processing Plant.